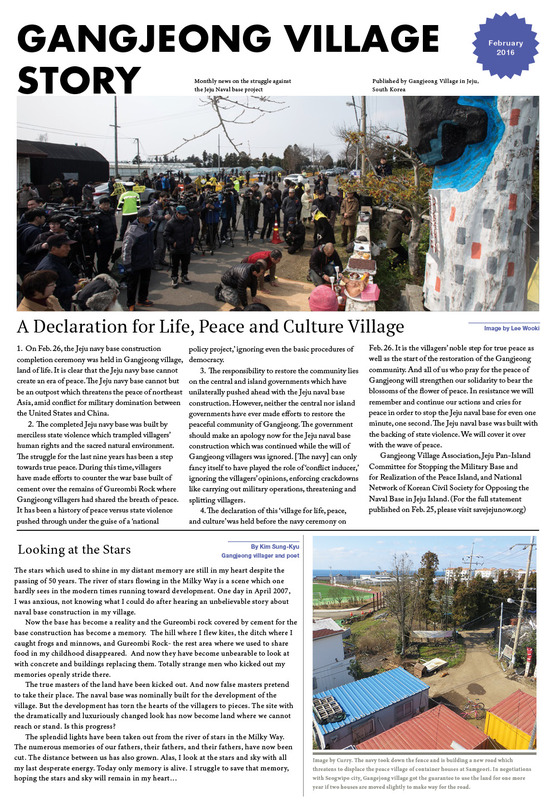 A Declaration for Life, Peace and Culture Village; Interview with Gangjeong villagers; Remembering Father Bix; International Conference on Women, Peace and Security, Philippines; Hotbed of irregularities at the Jeju naval base construction; The Police’s Reasonable Judgment? ; War Tax Resistance; trial update; The Precarious Spring of Korea; The first International Peace Film Festival In Gangjeong(IPFFIG); Fr. 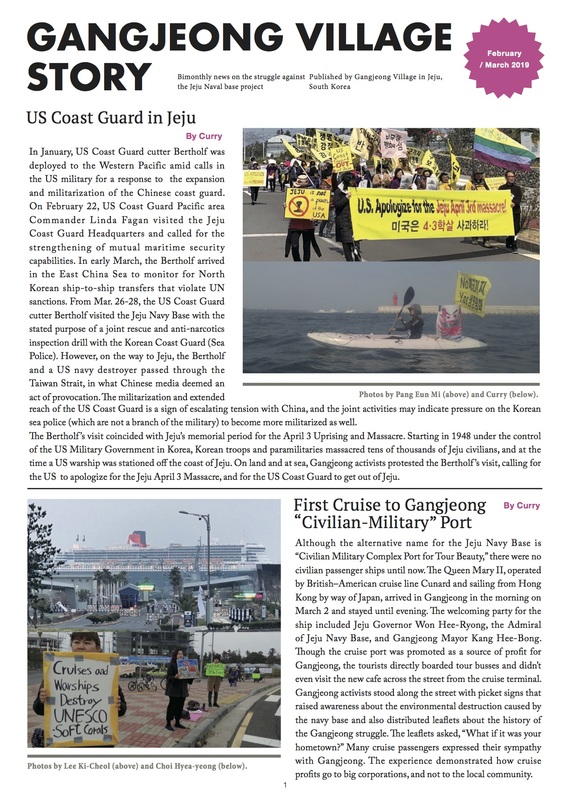 Mun Jeong-Hyeon’s speech trip to NY; Gangjeong Friends Candle vigil in Jeju City; and more.